Ships tomorrow if you order in the next 17 hours 46 minutes. 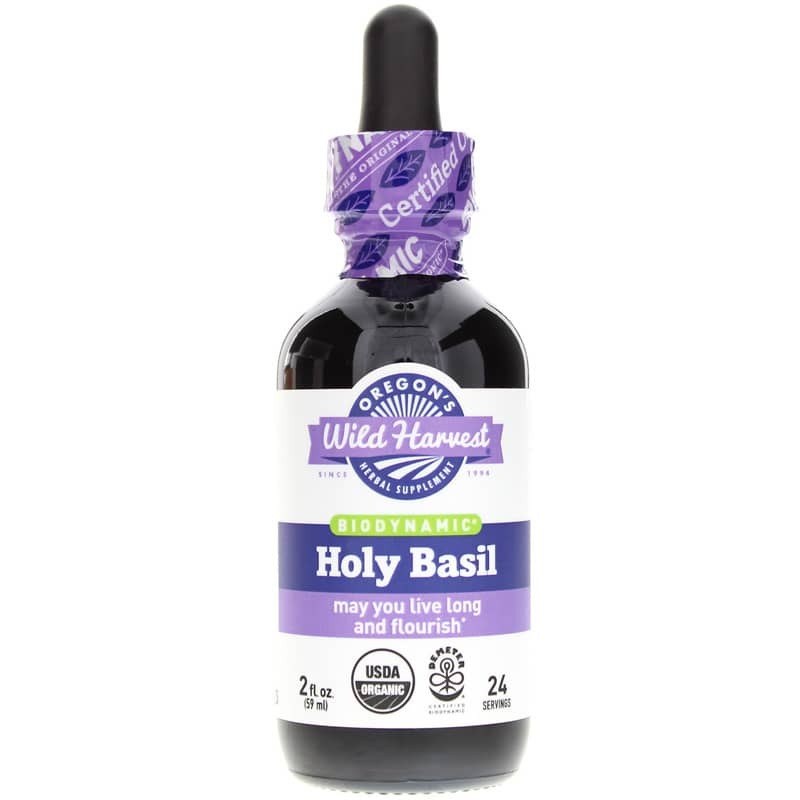 Hold on to overall good health for mind, body and spirit with a new formula of holy basil from Oregon's Wild Harvest. 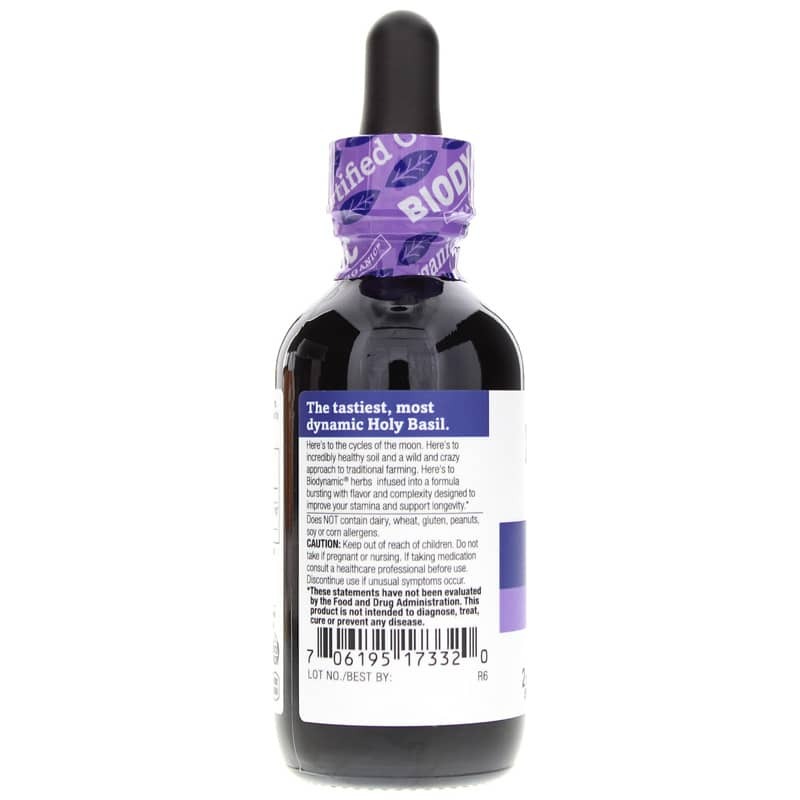 Holy Basil is an all-natural, organic and Biodynamic liquid holy basil supplement providing pure and potent support for healthy internal response and protection against the effects of stress and aging. Also known as Tulsi, holy basil has long been used for support of the mind, body and spirit. It's so highly regarded in Indian culture that many households keep some for good luck. As an adaptogenic herb, it supports the body against the effects of daily stress and aging by helping to maintain the normal balance of the nervous, endocrine and immune systems. This new, Biodynamic formulation from Oregon's Wild Harvest provides optimal bioavailability and potency to provide as much benefit as possible. Support your health in a new away with this ancient herb. Order Holy Basil today. Contains NO: dairy, wheat, gluten, soy or corn allergens. Non-GMO. Adults: As an herbal tonic, take 2.5ml (approx. 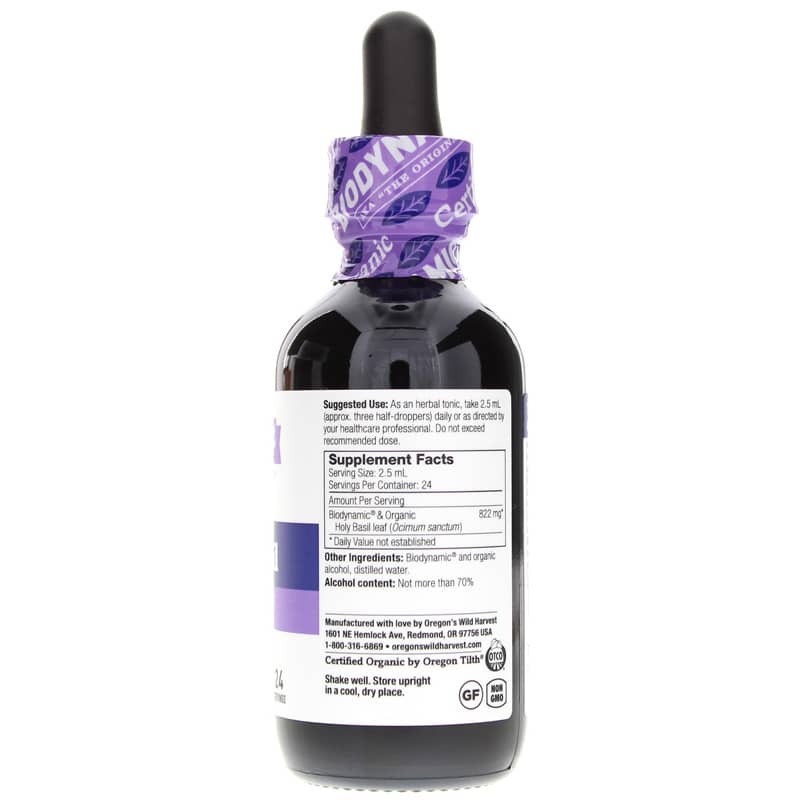 three half-droppers) daily, or as recommended by a healthcare professional. Do not exceed recommended dose. Do NOT use if you are pregnant or nursing. If taking medication, consult a healthcare professional before use. Keep out of the reach of children. Discontinue use if unusual symptoms occur.